If you require a simple drain repair or a full drainage installation then contact Walkhampton Drainage. 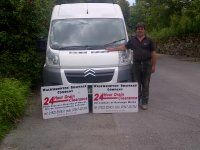 We offer Drain repairs in Tavistock and Yelverton. Drain repairs in Launceston. Walkhampton Drainage Company for all your waste water treatment requirements. Waste Water Treatment Plant Installations and Treatment Plant Servicing. We install plumbing sytems as required, waste pipes, traps and sink wastes. I received a very quick response to my initial enquiry. Once it was established what was required there was little need for further intervention. The work was carried out promptly and efficiently. Drainage Repairs in Tavistock and Yelverton. Here at Walkhampton Drainage we can carry out all drainage installation requirements. We also offer all of your Ground Work Requirements. Drainage Installations, Drainage Repair and Land Drainage Installations. Driveway installation, car parking areas. Garden maintenance is also offered. We are listed on Rated People under W-D-C Property Services where we recieve a consitantly high 5 star rating with a very good customer feedback. We install Setic tanks and Treatment Plants to your requirments. Walkhampton Drainage Company will carry out all of your installation requierments. 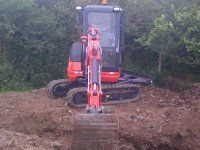 We carry out percolation tests and site surveys and assements for installation requirements.